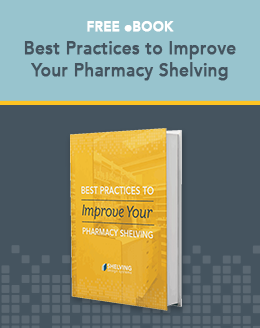 Pharmacy design should be seriously considered by drugstore owners in an ongoing effort to make things more convenient and accessible for patients and customers and improve efficiency and operational workflow for staff. Sometimes patterns develop through mere redundancy, but just because that's the way you've always done things is no reason to continue on with systems that could be improved through some dedicated observation of what could be changed for the better. Your pharmacy's back end design may need some changes if staff members find themselves continually taking more steps or having to step over each other while fulfilling their designated tasks. When required items aren't within easy reach and require excessive bending or reaching to pick them up, things should be changed around if possible. It's been determined through several studies that nearly one-half of medication errors made during drugstore prescription fills are the result of distractions and/or interruptions. This is a problem that can be reduced through proper pharmacy design behind the prescription counter as well as in the setup of the prescription counter itself. DO move the pharmacist to the prescription drop-off counter area with a computer and telephone installed. This way they can greet and interact with clients when they arrive, check their paperwork, and then dispense information and/or advice when pick-up is made. This allows the pharmacist to do what's most important – customer interaction – while skilled technicians can fill orders uninterrupted. DO use the "cockpit" method of having needed supplies and equipment within easy reach of those using them. DON'T neglect the importance of workspace ergonomics. This includes desks and counters that are the proper height for the persons using them, properly fit and comfortable chairs, floor mats for those standing, etc. DON'T forget to provide a comfortable and convenient waiting area for those whose prescriptions are being filled. Some drugstore patrons may have difficulty standing for extended periods of time. Providing coffee or other beverages at this location will help in dealing with longer prescription fill wait times. While the prescription dispensing operation in your pharmacy is likely your biggest revenue producer, the front end retail merchandising area is not only important for generating revenue of its own, but also for the success of your back end operation. DO use your merchandise shelving and fixtures to guide customer foot traffic in a counter-clockwise direction that gives viewing access to all major retail departments. DO feature eye-catching point of purchase displays to foster impulse buying in several store locations, especially around the checkout area. DO try to make your store warm, homey, and customer-friendly, in contrast to the sterile look of most big-box pharmacies. DON'T use standard linoleum flooring or fluorescent tube lighting. Feature outdoor, natural lighting by installing large windows and/or skylights. 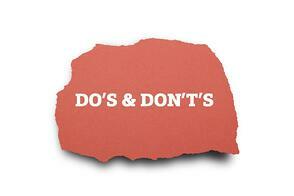 Applying these DOs and DON'Ts will go a long way toward improving pharmacy design. In turn, your improvements will not only increase efficiency, convenience, and accessibility, but also provide a more welcoming atmosphere for your customers.